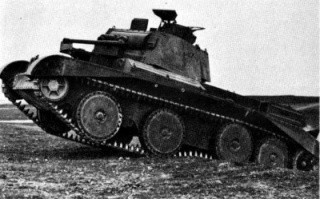 El vehículo se desarrolló actualizando extensamente dos prototipos del tanque Christie M1931 que el ejército británico había adquirido en 1936. El vehículo se diseñó como un tanque de avance rápido y de blindado ligero. El diseño modificado se consideró un éxito y fue la base de otros tanques de crucero. Se construyeron sesenta y cinco vehículos de ese tipo. Entraron en acción en Francia y África del Norte en 1940-1941. Stock, this tank turns poorly at high speed, similar to the USSR A-20. However, once you're going in the right direction you will reach top speed rather quickly thanks to the tanks engine power. 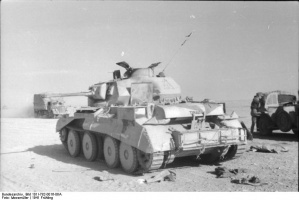 With this tank you have to choose between two really good guns: On the one hand you have the Ordnance QF 2-Pounder Mark IX with probably the best mix of accuracy, penetration and damage that you can find in a tier 2 tank, able to penetrate all tanks up to tier IV from the front, with good alpha damage. This is one of the few non-tank destroyer mounted cannons that can consistently penetrate the T18s frontal armor plating, making this cannon a good counter to heavily armored enemy tanks. On the other hand you can use the semi-automatic 40mm Pom Pom gun which has a 4 shot magazine with devastating effect against close targets. The 40mm Pom-Pom can 1-drum kill almost every opponent at tier II, all Tier II-III tank destroyers, artillery up to tier IV and has adequate penetration against the targets that the Cruiser Mark III will meet. Beware of the T18, as its 75mm AT Howitzer M1A1 can one-shot this tank everywhere. 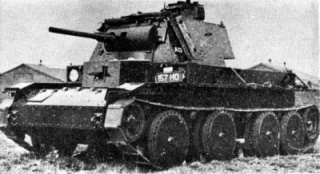 The T18 can be penetrated by shooting the sloped upper glacis of the tank, but avoid the casemate as it can deflect some shots from the 40mm. 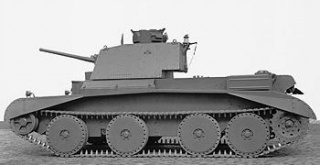 While it doesn't have much in the way of armour, it has very good gun depression, allowing it to easily hull down in hilly terrain. 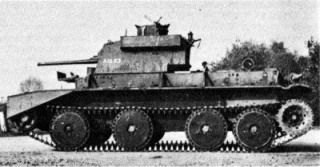 The second turret has spaced armour on the sides, and helps absorb HE damage, especially from the T18's nasty 75mm AT Howitzer M1A1.